Has Sports Luxe Transitioned Into The New Smart? There are so many different trends that arrive year on year, which makes it extremely difficult and nearly impossible to consistently match the demands. There are brands that stick around for longer and there are brands that become some of the most memorable. Sports luxe arrived with a degree of scepticism, which initially caused huge confusion, but now it has become a main stay in the world of fashion. Designer brands took the style and modified it to their ranges, creating a marriage of technically tailored casual wear and luxury clothing. For those who haven’t heard, or believe the sports luxe concept is ridiculous, you will be seeing how the trend has influenced the fashion world. No matter what type, or style you opt for, there is always a foundation. The foundation of the sports luxe brand is dependent on something that will split opinion, sweatpants. Sweatpants have a common, casual and in certain areas negative view, as it is associated with youths, rather than professionals. 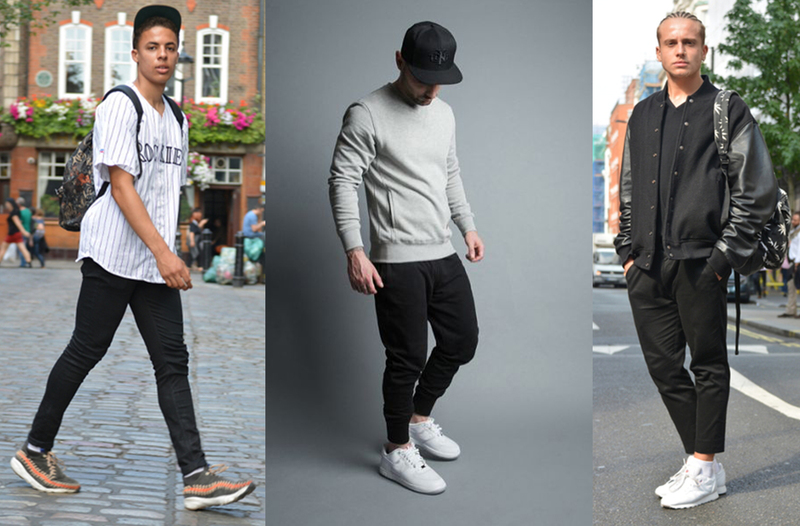 However, designer brands take on sweatpants has changed the concept of sweatpants and transformed it into a technically tailored style, which has seen sweatpants move away from the traditional cuffed, or baggy style. They became tailored, technical fabrics were added and they began to matched with blazers, shoes and even boots. This foundation saw them turn from casual to a hugely popular style. Many people will still be in disbelief that casual clothing can be matched with luxury items, as it is a complete mismatch. However, once you choose the correct types of clothing you’ll find a seamless and effortless style. The association with casual wear and mens tracksuits will be no longer, instead the style will attempt to compete with all year round smart trend. The demand will continue to surge, adapting at each step, with the core components making the trend completely normal. We completely understand that sports luxe is a style, or trend that is huge adventurous, but once you mix and match the essentials, you’ll find yourself feeling stylish and immensely comfortable. It is important to experiment and find the right balance, which will add subtle hints of flair. This will help you adjust your outfit accordingly, creating a style that makes you feel comfortable. There is room to experiment as brands have now tailored hoodies, bomber jackets and more into luxury pieces, adding a whole host of different options. The concept may be hugely ridiculous, but it is something that can make everyone look and feel great. The backing from the fashion industries has proven there is an alternative to traditional suits, helping people feel adventurous and stylish. If you take time to find the right balance, you’ll find the sports luxe may suit you a little more than you think. Whoa, whoa, get out the way with that good inormfation.